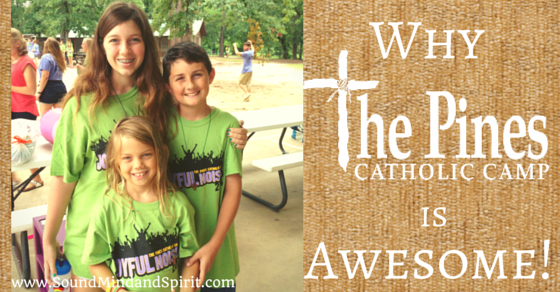 Of Sound Mind and Spirit: The Pines Catholic Camp is Awesome! The Pines Catholic Camp is Awesome! Are you looking for a Texas Catholic Summer Camp? We are fans of The Pines Catholic Camp and recently registered our kids for their third year of week long sleep away summer camp in north east Texas. The Pines is full of all the usual activities in a summer camp – cabins, counselors, lake activities, sports, music, outdoor fun, skits and more fun than is almost possible in 7 days. But what makes The Pines the camp for us is that it also includes all things Catholic. Mass, bible study, adoration, small groups, and prayer. But don’t let all that faith filled stuff fool you. It’s still summer camp. The staff at The Pines mix faith and fun into the perfect blend of summer camp experience for kids as young as seven through high school teens. 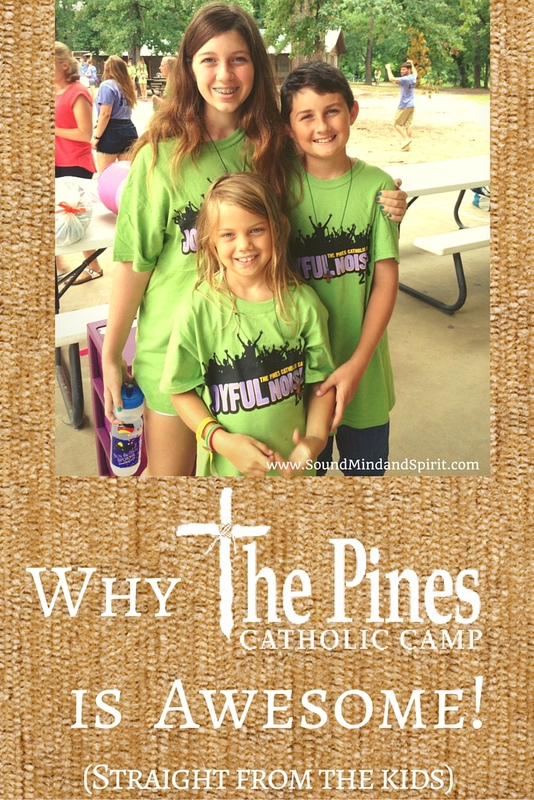 I asked my kids to tell me their favorite things about The Pines Catholic Camp and what did they do? They made a video! They are super excited to return to The Pines this summer. Check out The Pines website to view their own 2015 promotional video to discover more fun at this awesome Texas summer camp.